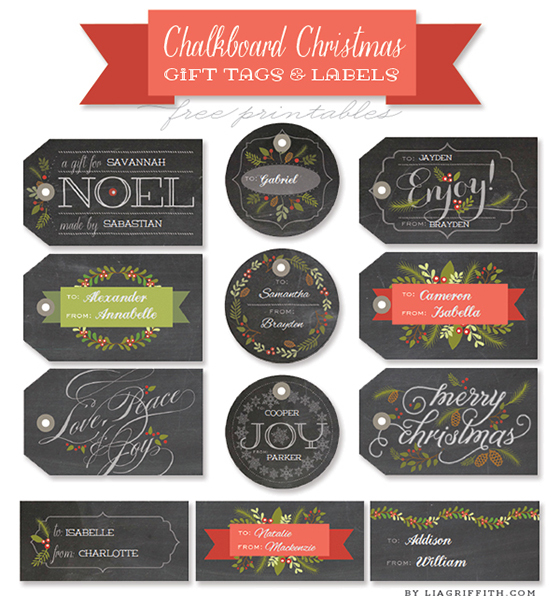 Do you have a version of these beautiful chalkboard tags and labels that I can edit to put my own names into? Thank you for sharing. They are beautiful! amazingly beautiful and so kind of you thank you!!! Hi Stef, there are instructions in both my post and the post on World Label telling you exactly how to personalize your labels. You will have to make for sure you have it on your desktop not your browser window. These are so beautiful! They were perfect for the bazillion neighbor gifts I made! Thank you so very much! Merry Christmas! I have a silly question.. do you print them on white card stock or black or some other color? Thank you so much for sharing. May I share these at my blog? Can you tell me the brand and model # of the printer you use for printing card stock, please. My Epson doesn’t feed heavier paper and its past the return date, so can’t return it. So i don’t want to make another bad investment. Thanks kindly! Hi Kim. I have a Xerox Phaser but it is an office size machine. I would recommend that you print them at an office supply store or at Kinkos. How does one download them? I couldn’t figure this out. There is a button at the end of the post and that will take you to World Label as he is hosting these. There is a similar looking button for you to download them all for free! Woo Hoo! Wow! Thank you for sharing these, they are so beautiful and made our gifts look extra special. 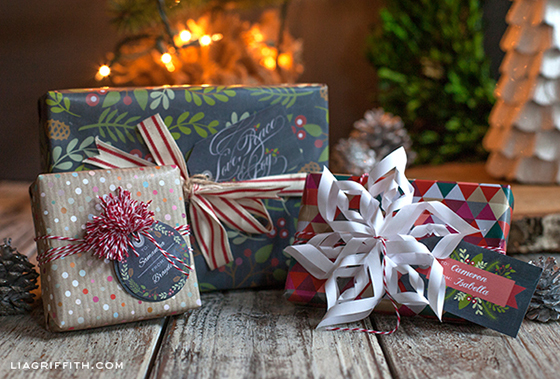 I’m a gift tag junkie and I just love these! Thanks for sharing! These labels are so great! I was wondering if you had a link to a tutorial on how to make that white paper snowflake. Its so unique, I hadn’t seen one like that before and would love to make one myself. 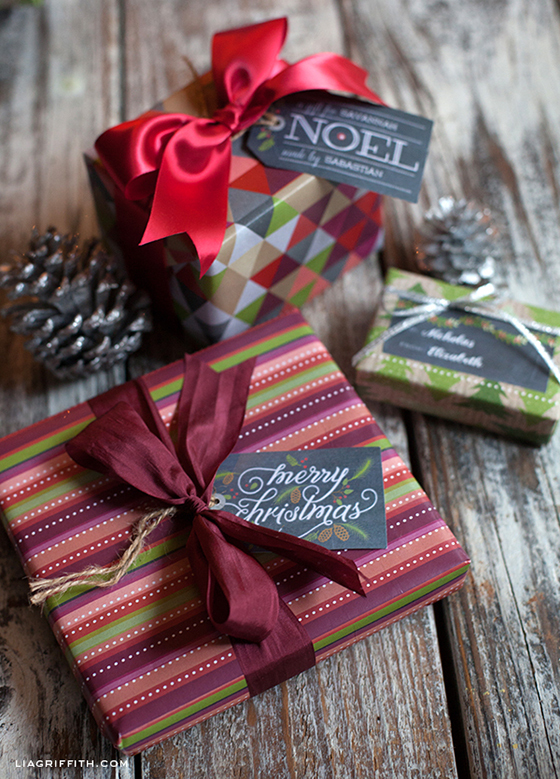 Can you tell me what font “JOY” and “NOEL” are written in? It’s driving me crazy! It’s similar to skitch, but not. Thanks! It is Carlino Capitals. Cute font. TROUBLE OPENING! Love Love Love these!! Everytime I attempt to open the file it tells the the file is damaged and can’t be repaired =( So anything to help me get them I would greatly appreciate! Since I am not hosting those on my blog you will need to reach out to World Label and ask them. Let me know. They are so beautiful Lia, thanks for sharing! Since I have not a good printer at home I have to send the file to a local printer office, like you suggested to Kaille. Now, the problem is that Acrobat Reader don’t let me save the edited file. Any help would be appreciated, thank you! Try “save as” and see if that works. The only thing I can suggest is to do a “save as” then rename it. I am sorry I can’t be more helpful. Thanks Katie! The post looks great! Absolutely lovely! Thanks for sharing these! You are so welcome Alexa! They are really beautiful! Thanks from Rio de Janeiro. They’re amazing!!!! Thanks for share. Greetiogs from Mexico!!! I’m absolutely in love with these!!! They’re so cute, however when I printed them the names kinda came out blurry, is there a way I can fix that?? So I think mine is blurry cause I have a laser printer. Is there a file for a laser printer?? These are made for laser prints. The names should not be blurry since they are input in acrobat. Did you check that you installed the fonts? 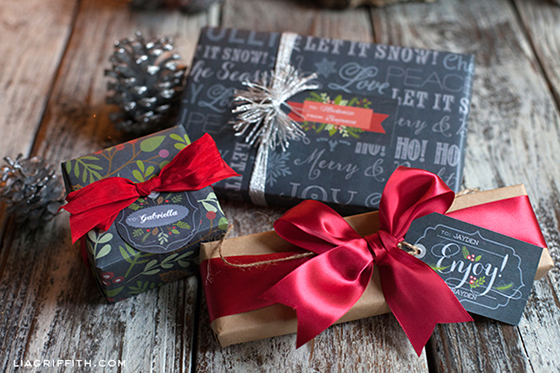 Love the printable gift wraps! Do you have the one with the trees and the coloured triangles?? 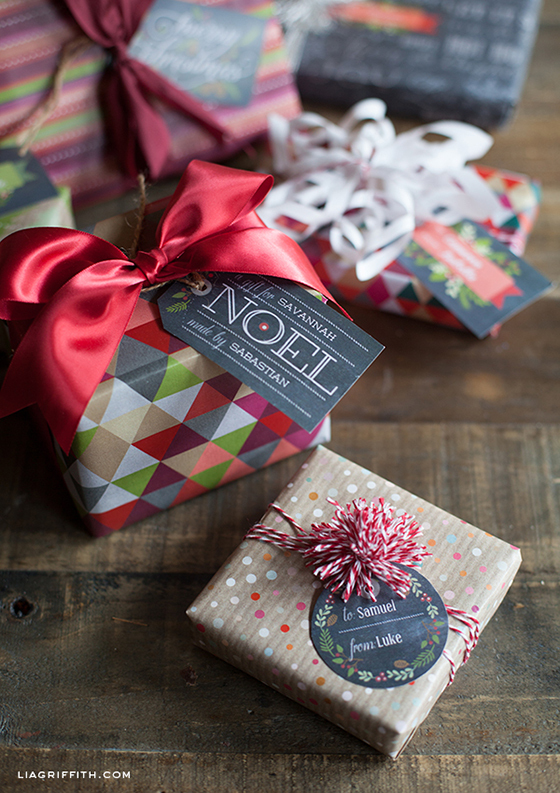 Or were they store bought gift wrap paper? Haha, interesting you ask because they will be posted for download later today! These are so cute and I want to print them out BUT everytime I try to download I get a message that the file is corrupted!! Any help would be appreciated!! It sounds like your browser is not allowing you to download. I suggest you try a different browser and see if that works. Let me know. 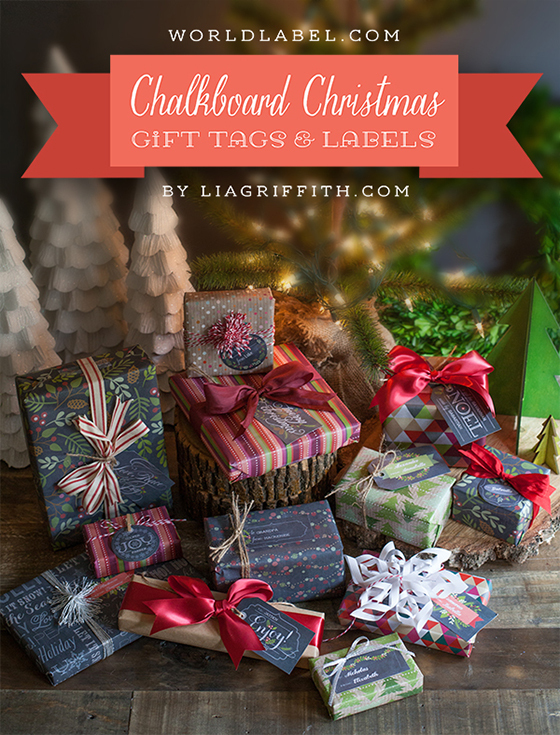 I love your chalkboard printable gift tags. When I clicked on the download button it opened a PDF file. 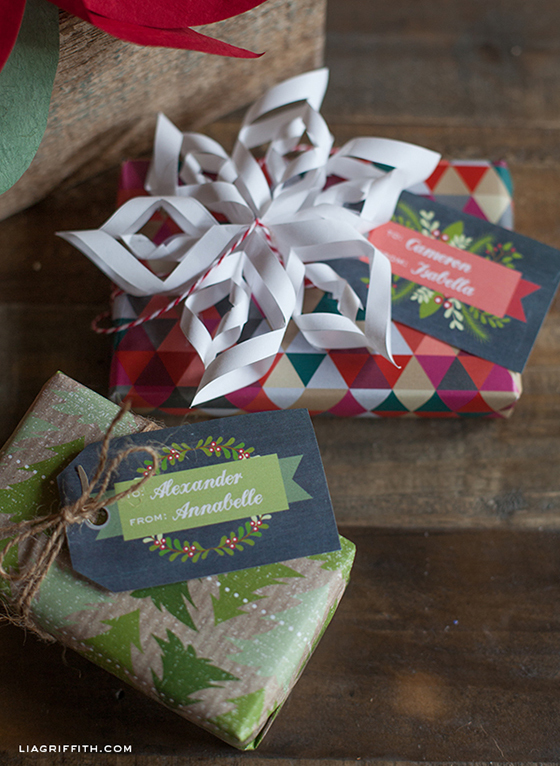 I am not sure how to edit these wonderful labels so that I can personalize the names? I am used to working in Photoshop or Illustrator and tried opening in both, but it was a flat PDF file with no layers. Thanks for the tips!! And, thanks for the freebies! You can edit them when the PDF opens in Acrobat. Just click on the placeholder text. Make sure you download the free fonts lists. No, I don’t give away layered files anymore. I made that mistake once and found my illustrations being sold by another person as their own. 🙁 But you can place the PDF as a background in Illustrator and use your own text over the top if you want to. I am pretty sure the editable text does not show up when you do that, leaving blank areas. You are so welcome Kriszti! Lia, I just found your blog and can see that I will be spending a lot of time here – I LOVE your work! I am very new to paper crafting, so forgive me if I’m asking silly questions, but once you print out the labels, can they be cut using a Silhouette? I have to run out and get some card stock! Thanks for giving us the opportunity to make such pretty things! Thanks Kaille! If you know how to align with the Silhouette, by all means use it. I just got mine, so I am pretty new at figuring things out. Thanks for replying, Lia! I just got my Silhouette as well and am trying to figure things out. This whole printable thing is a mystery to me so I’m trying figure things out as I go along. Once you have them printed, do you simply cut them out with scissors? Yours look so precise – mine would probably look like the work of a toddler! Are most standard-issue printers (HP e.g.) able to handle printing card stock? Thanks again for indulging me! Yes, you can print card stock on an HP. Make sure it is ink jet paper for the best results and they even have brochure paper that takes heavy coverage really well. Or, just have them printed at your local FedEx Office on their laser. I cut with a ruler and craft knife for the straight edges and scissors for the curves. 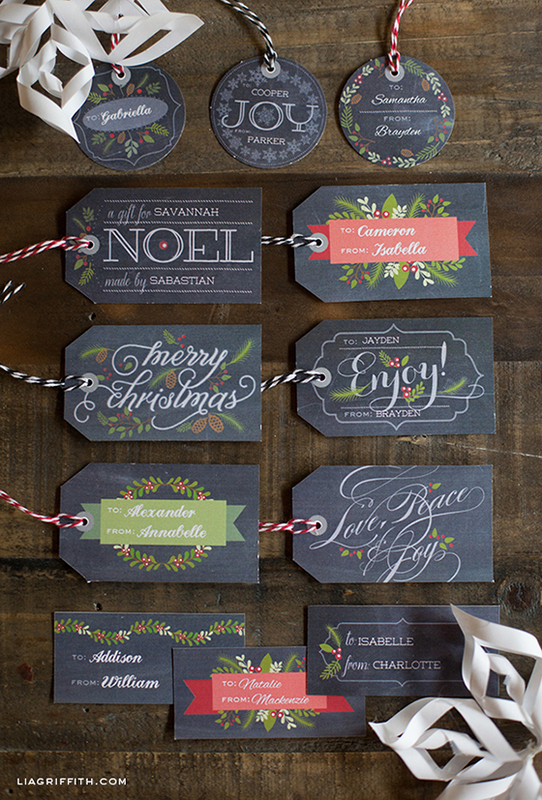 The design is pretty forgiving since it is a bit weathered with the chalkboard look. Thank you, Lia! I can’t wait to get started. I love everything on your blog! You’re so talented! Thank you for sharing these and for all your great posts. I love seeing what you create. Thanks Emily! Someday I will move beyond the chalkboard theme. haha. I did one like that last year and it was great. Good idea to post it again. Thank you! These are such a great idea. Once again you are so good to us by sharing your talents in such generous ways. Thank you so very much Lia, these tags are excellent and beautiful. I’ll be so proud to put these on any gifts I give this year. Happy Thanksgiving to you and yours. Hi lia!! I wait for your posts everyday!! May the Lord bless your generosity! Lots of love from the carribean! So beautiful!! Thank you for sharing your talent!! You are welcome! I have so much fun doing it. Oh wow! These look awesome! 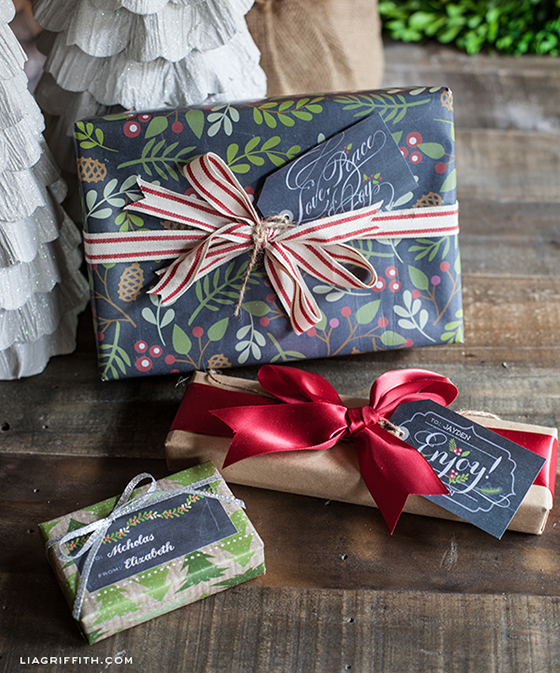 I can’t wait to use them for my homemade food gifts this season….everyone is going to think my gifts were store bought with these pretty tags, ha ha! Yay! Happy you like them!